While Notch may have suffered a bit of a publicity blowout after being an idiot on the Internet, his progeny, Minecraft, remains ever popular. Part of that may be that no other building simulator looks as child-friendly at Minecraft, but it’s far more likely that he was smart to tap into a genre that has proven to be a veritable goldmine. Everyone lives building something out a sandbox, whether you’re doing it from a first-person perspective or whether you’re a lover of something more sophisticated like City Skylines. However, the pixel-block graphics are a bit of a throwback that some may argue can be a bit childish. 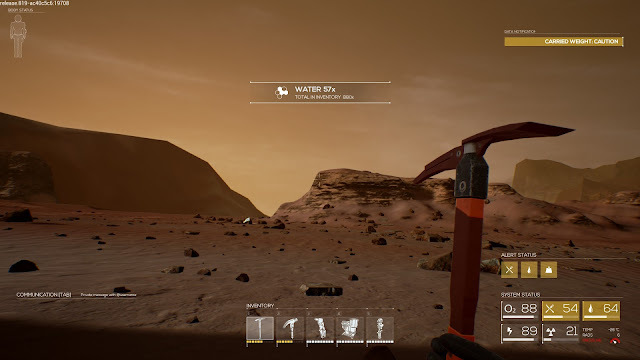 There have been many an attempt at trying to adult-up your average sandbox game, and ROKH is the latest of such endeavours which slaps good survival gameplay onto what looks initially like Garry’s Mod: the Mars Edition. As the premise suggests, ROKH takes place on Mars. Touted as a science-fiction exploration builder, it’s been developed by some big names i.e. former Assassin’s Creed devs and Dishonored’s design team, to name a few. The name of the game here is building a colony on Mars to survive the harsh conditions, and if you’re lucky, to prosper. Building here is an exercise in patience and in thinking big - a lot like Minecraft, you’re going to start off small by the way of building yourself a perspex cube to live in. The name of the game is harvesting the land for natural resources with your emergency tools, breaking ores down into parts and then slotting them into various blueprints to make walls, doors, and other more comprehensive tools. Building is modular, which means that you can easily enhance existing structures once you’ve created them, and this makes approach everything feel organic. However, there is an antidote to this ease of construction - with each second you’re out there, you risk dying to either the cold or radiation. Being at the mercy of unknown and dangerous elements in space is a good selling point for this game; it brings something new to the table, and it’s a nice change from the usual survival game plague of dying to either wildlife or another rabid player. In case you thought that building things was too easy, there is the occasional wrench thrown into the works in the form of structure degradation. While that’s normal enough on its own, the way in which you have to repair things in the game might seem a bit counterintuitive: to attempt to fix anything, you’ve got to first separate it from whatever it’s attached to by means of picking it up before putting it back when you’re done. Judging by the fact that the repair tool is a literal wrench, having to rip an entire panel off the side of my tiny plastic hut to fix it with a meteor storm on the horizon is much more of a health and safety hazard than it has any right to be. Of course, your surroundings being beautiful doesn’t hurt either; ROKH isn’t by any means obsessed with environmental excellence, but it uses music and the well-rendered barren landscape to deliver on small things to great effect. The sparse soundtrack contributes to the feeling of being alone on an empty planet, and your loneliness turns to foreboding when you find abandoned colonies with data terminals that tell suspicious stories of their previous inhabitants. When you’re unfortunate enough to be inflicted with radiation or some other status effect, your heart rate can slow down, as well as your breathing. Some status effects also make you move slower, which lends a bit of well-tuned drama to the otherwise standard sandbox proceedings. It was a great relief once I got back to my hut and either fed myself or warmed myself up; the sound of my breathing slowly returning to normal as I contemplated the emptiness around me conjured up a great atmosphere. The meteor storms are another terrifying atmospheric event that you can encounter which makes you feel incredibly insignificant in the face of the planet’s wrath, and it’s a clear sign that we can expect to have more to look forward to on the survival front once the title is more fleshed out. What put a bit of a negative stain on the proceedings, however, was ROKH’s abandonment issues. Every time I alt-tabbed or tried to use a different window, the game would crash for seemingly no rhyme or reason. I mean, I get wanting a player’s attention to be wholly focused on the product at hand but that bug made it literally impossible to do anything else on my PC when ROKH was running. Owing to the game’s early access status, this sort of thing is forgivable in the long run and I’ve got no doubt that it’ll all be ironed out on release, but it still left a bit of a bitter taste in my mouth. On top of that unfortunate bug, it was almost impossible to connect to servers to actually start a game in the early days of this preview and hosting a local server was its own can of worms that almost everyone had an issue with according to the forums. 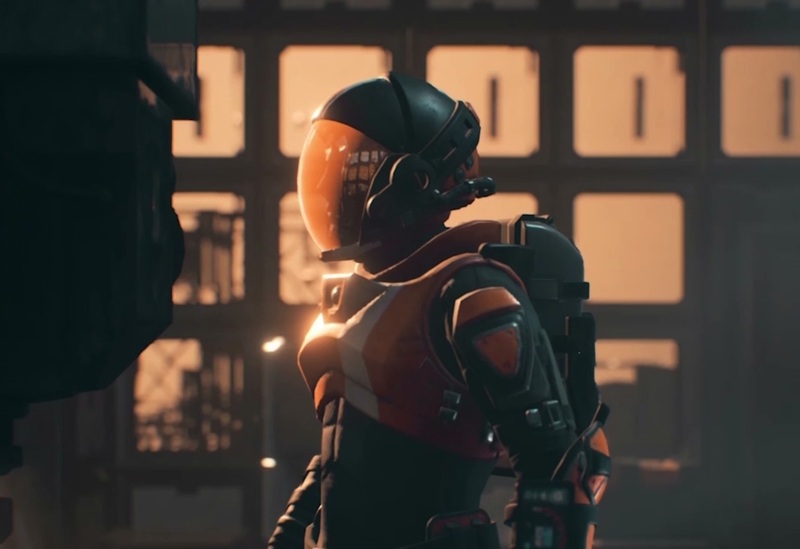 ROKH was nice enough and polished enough in all other aesthetic and mechanical aspects once I actually got into playing it, but plenty would likely be put off by the seemingly insurmountable glitches and the initial repetitive nature of a game that really needs multiplayer functionality up to scratch to be truly engaging.